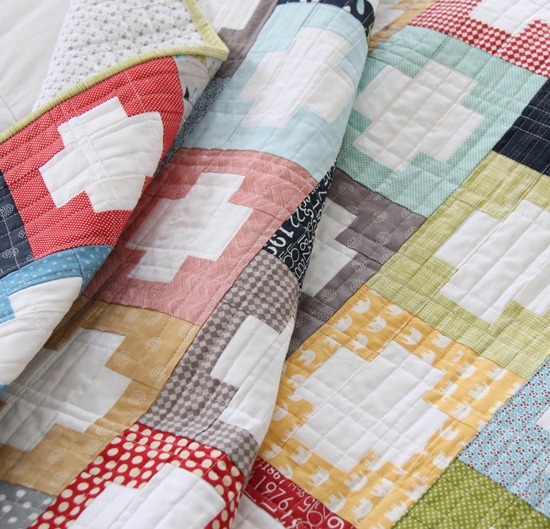 I can’t get enough of plus quilts…obviously. 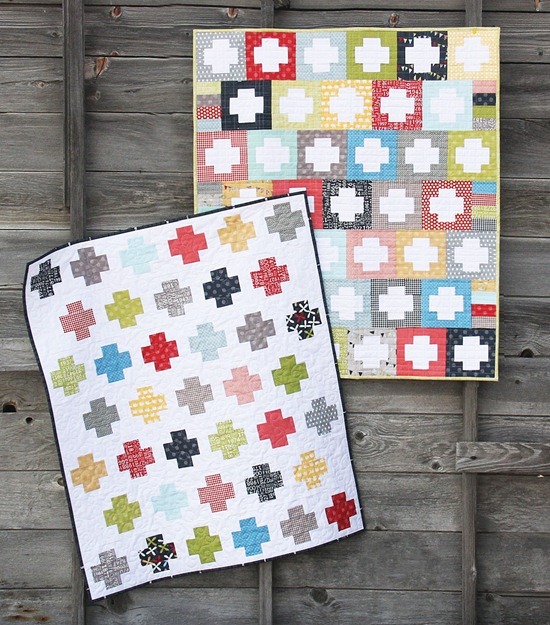 I wasn’t initially going to make this pattern because there are plenty of plus quilts already out there…but I love that these can be made with 1 or 2 charm packs, and the quilts compliment each other so well. 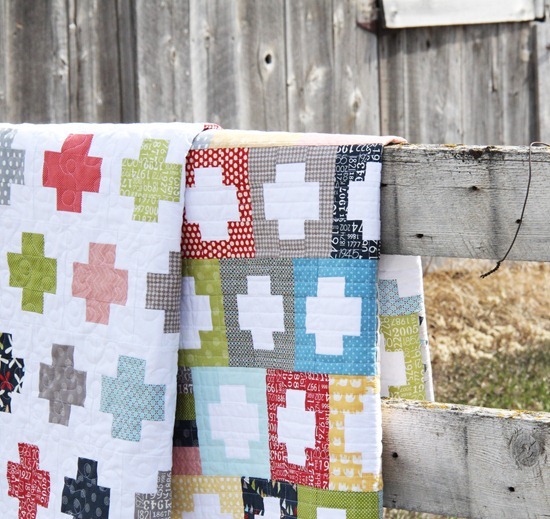 The plus quilt can be made with 1 charm pack or 39 squares. I used some squares of Reunion by Sweetwater mixed with squares from my stash. I quilted this one with loose loops. 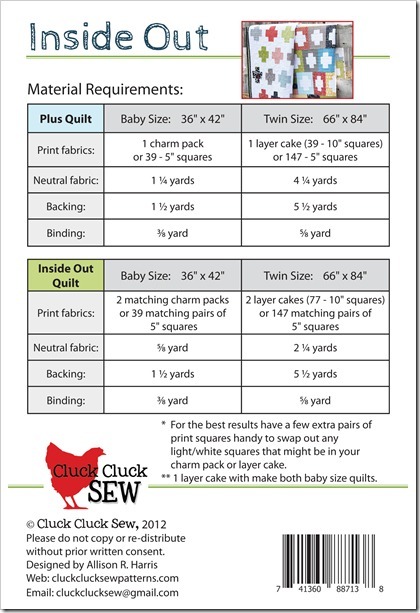 The Inside Out quilt can be made with 2 matching charm packs or 39 pairs of squares. I used the same fabrics for this one but quilted it with (semi) straight lines. They make such a cute pair. :) These would be cute on my boys’ bunk beds too…hmmm. Love these! am adding to my project list when I get home from work tonight! 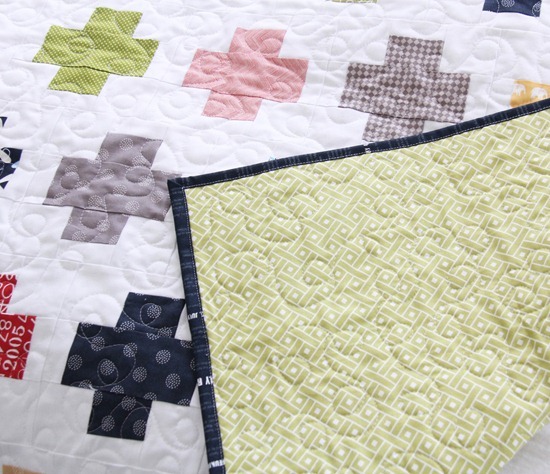 It's so awesome to see quilts now that would work well for little boys! Thank you! Really cute quilts! I'm also amazed at your productivity/creativity! So darned cute and the perfect way to pare down my multitudes of charm packs!! I love your quilts ! these are amazing !!! love them ! Oh great Allison, now I don't know whether to make your Bizzy Kid or this one… lol Guess I'll just have to make both. Love all your quilts and fabric choices!! LOVE this pattern!!! And all the new ones too :). These are gorgeous & the fact that you can make them from a couple of charm packs is fab! So pretty when you see them together. They'd make quite a statement as quilt art. Great quilt. I swore I was not buying more patterns until I use what I have but I had to have this one. Allison, your new quilt patterns are just darling. I love the softer color palette that you have used! You're amazing! What a great idea, the quilts are beautiful! Yours are always the best. 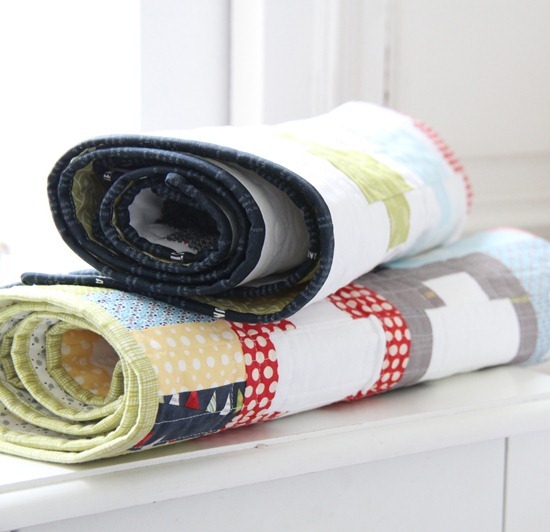 I just love the way you change the fabrics and the quilts always look so different! Love the pattern! I bought that inside out pattern about two seconds after I saw the picture. I've got some twin boys to sew for, and I can't even stand the cuteness of these quilts. You, my friend, are a genius. Thank you.